“I come from a line of Sapeurs”, a finely dressed Congolese man proclaims sitting alongside his traditionally dressed wife in their modest home, as he proudly shows off family albums. 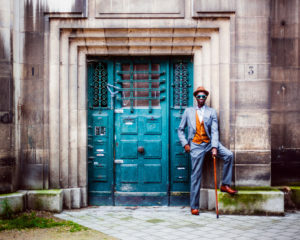 The Sapeurs- members of the Society of Tastemakers and Elegant People- are Congolese men who live to make a statement, adhering to a fine dress code where every look is calculated and planned and most importantly, authentic. As they often come from modest backgrounds, they appear as unlikely consumers of high fashion, yet will often save entire month’s wages in order to purchase items that they have been waiting to buy. 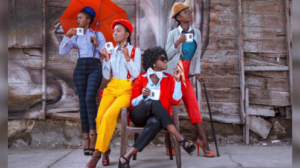 Their signature looks include branded shoes, clothes in many bright colors, and dapper styles, standing out against the backdrop of poverty in which they live. When this subculture first emerged, it was dominated by the youth of Brazzaville (Republic of Congo) and Kinshasa (Democratic Republic of Congo) (Thomas 2003:949). Today, you can see men of various ages coming together in a celebration of bright colors and styles, bringing light and extravagance to their communities and families. 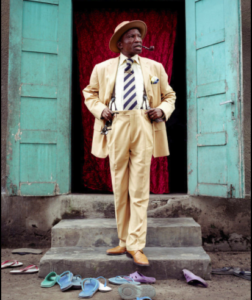 A generational phenomenon, the Sapeurs first came onto the scene following the arrival of Europeans in the Congo around the 1920’s, where servants were able to observe their employers and were often given clothes second hand so that the employer would be able to show off their wealth by their ability to dress their servants well (Martin 1994:409, Gondola 1999:26). Reminiscent of the Teddy Boys of the 1950’s and the dandies of Britain, there was an emphasis on dressing well, or above your class, that took root in that time, where some of the Sapeurs would forgo eating in order to afford to dress extravagantly (Gondola 1999:32, Martin 1994:416). The return of Congolese veterans from Paris further cemented the importance of fashion and dressing well, as they brought with them the idea of a place where a Sapeur could journey to attain all their material wants, providing the subculture with something that they could work towards: Paris (Martin 1994:423). Contemporary Sapeurs, or third generation Sapeurs, have moved past the idea of modernization and “evolue” through dress and more towards the idea of battling poverty through clothes, masking their economic reality with the illusion of wealth, and resisting the depravation they face (Gondola 1999:955, Hanneken 2008:371). As with any subculture, they have hierarchies and an order of sort that was introduced with the first generation of Sapeurs, where the highest status one can get is that of a Parisiene, someone who has made it to Paris and returned with the cultural capital that can only be gained from living in the city (Hanneken 2008:375). Sapeurs congregate at Sape clubs to validate each other, performing their authenticity showing off their knowledge and their branded clothing (Hanneken 2008:375). The end goal for a Sapeur is to be admired, respected; it is not Paris that they strive for but the ability to show off to each other when they return to Brazzaville or Kinshasa through extravagant displays (Hanneken 2008:375, Trapido 2011:207). Seen as economic resistance, it is easy to overlook the the political significance of the Sapeurs. However, it is very much there, especially as the economic hardships that they face have come about in part because of politics. In 1970, when Mobutu came into power, he introduced the idea of “zairanation,” where European practices, clothes and traditions were frowned upon and deemed inauthentic, placing the Sapeurs on the outskirts of society and ostracizing them for what they stand for and engage in (Thomas 2004: 958,959). The popular view became that by embracing the clothing of the European oppressors, the Sapeurs were conforming and submitting to their colonial past, thus going against Mobutu’s campaign of Africanization (Ferguson 2002). However, by reclaiming the clothes and choosing to wear them, the Sapeurs are resisting the notion that they are imitating the French because they can dress just like or even better than them, only going to Paris so that they can be seen as worldly and authentic in the eyes of their peers when they return. The Sapeurs raise themselves to the status of equals, showing that poverty will not stand in their way and that they are their own masters. The development of this subculture out of postcolonial exposure provides researchers with a very special angle when discussing their deviance, and the Sapeur phenomena has been documented fairly well, especially across French scholarly literature. On the other hand, their female counterparts have not, even as they hold a unique narrative of gender that intersects with that of the postcolonial Sapeur. The lack of interest in the Sapeuses may be due to the fact that the Sape movement is regarded as a male movement. Gondola argues that the Sapeur movement is “exclusively” a male phenomenon because women never showed interest in dressing in European clothes and did not venture to Paris, making it a man’s trip (Gondola 1999:26). This scholarly erasure of the Sapeuses is why they do not have as much coverage, making it hard to determine when they really came onto the scene. Historically, while the Congolese men were beginning to dress after the European fashions, women continued to wear traditional clothes because they did not have the same jobs as the men, and so could wear their traditional cloths instead of the dresses and skirts of the European women (Martin 1994:413,418). This meant that they came into European high fashion clothing decades later in different political and social contexts, and that even if they might have had fathers or brothers dressing in the elaborate clothes, the meaning that the Sape movement carried for them would differ greatly because their resistance would bear gendered connotations. The Sapeuses dress just as extravagantly as their male counterparts, in fact, they dress in suits similar to the Sapeurs, showing that they too can have space in this male dominated subculture. 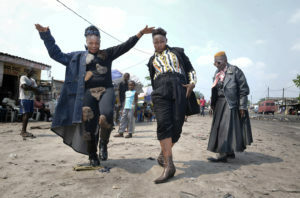 Just as the Sapeurs used dress as a way to rise above their economic standing and show their equal worth, the women use clothes to show that they too are of equal or greater standing than their male counterparts. 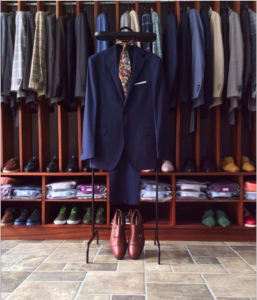 “It is easy to look like a gentleman. But to act like a gentleman? Today we have to show men how it’s done” says Umpalaba, a Sapeuse, explaining that “women are not in a good position in the DRC, so we must dress loud and shout even louder!” (Howard 2016). Not only do the Sapeuses resist the image that comes with poverty, but they also resist the notion that it’s a mans world, showing that they can do an even better job than their male counterparts. With sexual violence rampant against women in the Congo, having control over the image that they project comes as a small relief and a way to make a statement about their bodies (Maclean 2017). With the president of the DRC identifying as Sapeur, the male dominated subculture has broken into the mainstream (Lightfoot Travel 2017). However, women subverting this culture are still highly stigmatized, with some women explaining that they face homophobia or transphobia because they are seen as trespassers, who simply want to be like men (Maclean 2017). They are told that they will not have any marriage prospects, showing the double standards that the women are held to (Africa Program 2014). Shamed for their choices and afraid of the consequences that their actions will have on them and their families, the Sapeuses continue to be a minority but there are hopes that more will join the movement as the rally for increased women’s rights continues (Africa Program 2014). Clearly, fashion or Sape, is very important to the individuals of this particular subculture, be they male or female. 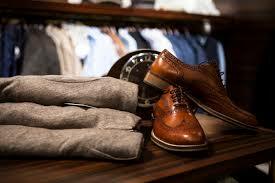 As previously mentioned, when the poor dress better than their class, they are projecting an image of wealth and comfort in order to resist the constraints that their economic situations should have on them. And when elites such as the president of the DRC adopt this form of self expression, their shared social status allows them to transcend their different class levels and come together as one (Weber  1946). Blumer, a symbolic interactionist, argues that high fashion is respectable and sought after because it is seen to carry approval from the elites who create and wear it, and that major changes in fashion are directly tied to political happenings (1969:227, 283). The Sapeurs thus wore it in the post colonial period to reclaim the European elitist image that was associated with it, and the Sapeuses wear it today in order to reclaim the elitist image afforded to men. Women adopt the men’s attire instead of buying into female European high fashion because they strive to be included in the space of the men as equals, instead of striving to create their own cultures behind the scenes. It is more jarring to see women in men’s clothes than to see them wearing foreign feminine attire, and the uproar that it generates is necessary for change (Blumer 1969:286). “In the history of women Sapeurs, she’s the first and the oldest. She’s the same age as Papa Wemba,” a well known Sapeur says about Mama Clementine, a sapeuse icon (Maclean 2017). Papa Wemba, a Congolese musician who played a key role in the globalization and representation of the Sapeurs, died last year at the age of 66. If Mama Clementine is the oldest, then this suggests that the Sapeuses are an overlooked generational phenomenon having existed as long as the Sapeur icon, only gaining notoriety today because of their increasing number and of the ease of access that we have to information today. Sapeurs have a lot more literature written about them along with an abundance of documentaries, while most of the information on the Sapeuses can only be found online or within the pages of magazines, which suggests they have not been taken seriously as subjects of academic research. This raises the question of whether the Sapeuses are viewed as a legitimate subculture or just the female version of the Sapeur subculture. The delegitimization and subordination of women is a phenomenon found within mainstream culture and unfortunately, within numerous subcultures. Women have a double battle to win, because the ostracization that they may experience in mainstream culture because of their race, social class or preferences can be compounded by their gender, leaving them to feel like outsiders in any subculture they try to be a part of. The theory page on intersectionality on this website does a wonderful job of explaining that “each individual experiences social structure slightly differently because the intersection of their identities reflects an intersection of overlapping oppressions”. Women must face the overlapping oppressions of whatever men are facing, plus their gender, which makes it hard to navigate most spaces as evidenced in subcultures such as punk where hyper masculinity is prevalent, or in hip hop where black female performers are deemed to be inauthentic because women are the sexualized subject of the male dominated genre (Stapleton 1998). Sapeuses are labeled as “women sapeurs” because they are seen to be inauthentic invaders of male territory in their efforts to carve out a place for themselves, even though they are doing what sapeuses and other subculturalists have always done, which is to resist and embrace their difference. Deviance occurs when people fail to obey group rules (Becker 1963:20). Fashion is the overarching method of deviance that the Sapes utilize in order to make a statement about who they are and where they stand on things. Dressing in bright expensive clothes, they stand in stark contrast to the poverty in which they live. And while their deviance from their surroundings can be seen as positive sometimes, as they light up their surroundings and bring color to festivities, there is an inherent negative aspect to their chosen lifestyles. Living above one’s means can be considered reckless, especially when the people doing so are living in poverty where any income should be going to food and shelter. 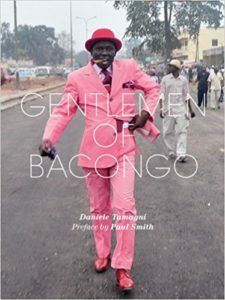 There is documentary called “The Congo Dandies” that takes a critical look at the Sapeurs and their spending habits, something that most media overlooks in order to focus on the aesthetic. However, it is not just the disregard for financial stability that makes people who participate in Sape deviant. There is an added layer to their deviance because of the means that they may engage in so that they are able to have the designer clothing that makes them the subculturalists that they are. The expensive nature of the clothes that the Sapes wear can drive them to partake in unorthodox means to secure them, such as fraud and stealing (Trapido 2011). The thought of wearing home made clothing or faux designer clothes is too inauthentic to the identity of Sapeurs, which may in turn lead them down the path of illegal activity. They may partake in the selling of knock off designer clothes but only so that they can find or purchase the real deal (Trapido 2011). The Sapeurs in a commercial for Guinness. Guinness also created a short documentary centered around interviews with the Sapeurs. A documentary on the dandy movement and how it has reached African Americans in LA. A commercial for mugs that shows some the Sapeuse women against the backdrop of their poor neighborhoods. This is an extract from a documentary where the Sapeurs discuss what they do and what it means to be part of their subculture. A documentary by BBC news on Barbara Yves, a Sapeuse, the only one found at the time of this page’s construction. This documentary takes a critical approach in its discussion of sapeurs, focusing on their detrimental spending habits. Photo taken by Kinshasa-based photographer Junior D. Kannah. 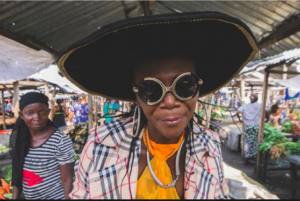 This exhibition documents the Sapeuses and their lives through exhibits of clothing and accessories as well as the photography of Kinshasa-based photographer Junior D. Kannah. This exhibition will ran in London’s Brunei Gallery from October 18-22, 2017. 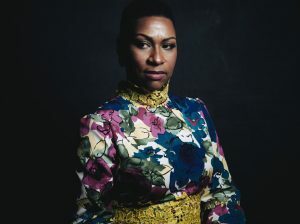 Shantrelle P. Lewis, manager, of the Dandy Lion Project, as pictured by Rog Walker, curator of the Black Male Achievement exhibit at the Brooklyn Museum. Founded in 2010, The Dandy Lion Project is “an exhibition of photography and films that explores how African Diasporan men are articulating a re(de)fined Black Masculine Identity via Black Dandyism”. A photo book by Daniele Tamagni, with a preface by Paul Smith. Its a great collection of work that provides a clear picture into the colorful lives of the Sapeurs. 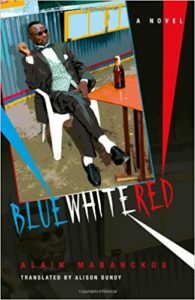 A novel by Alain Mabanckou, Blue White Red explores the formation and journey of African Sapeurs to Paris, France and all their struggles there as undocumented immigrants attempting to escape poverty and live the Sapeur dream. 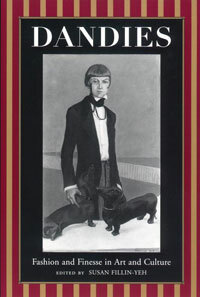 This book explores the dandy style and its occurrence all over the globe, providing great insights on the politics of dandy fashion. Ferguson, James G. 2002. “Of Mimicry and Membership: Africans and the ‘New World Society’.” Cultural Anthropology 17 (4):551-569. Gondola, Ch. Didier.1999.”Dream and Drama: The Search for Elegance among Congolese Youth” African Studies Review 42 (1):23-48. Retrieved from JSTOR on September 13, 2017. Martin, Phyllis M. 1994. “Contesting Clothes in Colonial Brazzaville.” The Journal of African History 35 (3):401-426. Africa Program. 2014. “The “Sapeuses”, a Female Minority in a Man’s World”. Africa Up Close. Howard, Sally. 2016. “Congo’s Feminist Fashion Pack”. Marie Claire. Lightfoot Travel. 2017. 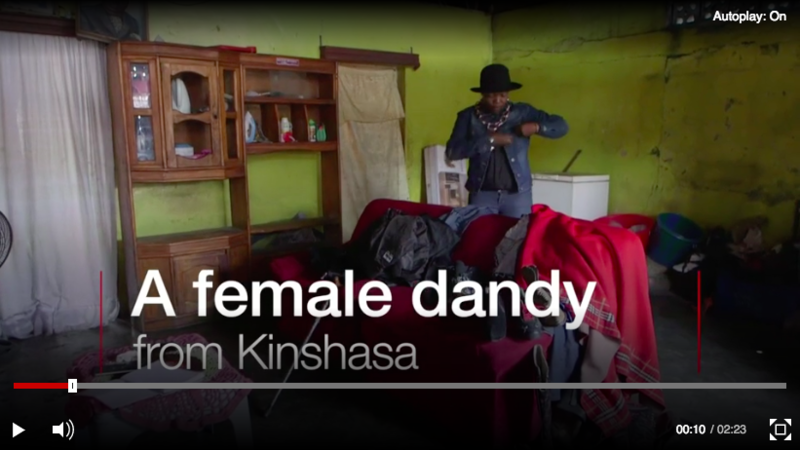 “Congo’s Female Dandies”. Lightfoot Travel. Maclean, Ruth. 2017. 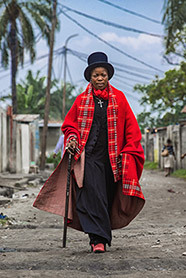 “‘I like to look smart’: female dandies of DRC delight in extravagance”. The Guardian.